I know, I know, I know. It’s been a long time since I last updated. I’m sorry. I’ve been busy with so much, and I’ve been dealing with a lot. I posted a while back about my health scare. It’s not cancer, but nobody knows what it is either. I’ve been poked and prodded to within an inch of my life, and been diagnosed, and tested, and while all of this was going on my chronic pain worsened. But the good news is that the pain part of it has been dealt with and it’s in the past. The bad news is that I still don’t know what I have, but I’ve been told that it’s ‘probably not serious’. I’ll take it! And yes, you’ll get more updates when I have them. My writing’s been going really well. I’ve been working on this one book that hasn’t left me for years now; I’ve been plotting and planning and making false starts with it (yes, this is the one I wrote more than a hundred thousand words for before deciding I hated every word of it and then shelved it again in frustration) until I had an eureka moment about two months ago and I suddenly knew what I had to do. Everything just resolved in my head, and I could feel my fingers tingling. I wish I could explain what it feels like, but I can’t seem to. Whenever I try I get lost in the words, and in trying to make people understand exactly what this feels like. It feels like – magic would feel, I think, and it feels like I’m standing at the top of the world, and whenever I write, I cease to be in this one, and I’m in the world I created, and I feel my characters inside of my head, all the time, and I weep over their fears and their fates, and I celebrate their successes with them. I am tied to each and every one of them, and they are to me. They will forever be mine; they will forever have come from that deep space inside of my mind where I brought them to life, and they will always be a part of me, and I of them – we are inextricably linked for eternity. So, apart from writing feverishly, I’ve also been able to watch a couple of amazing movies. 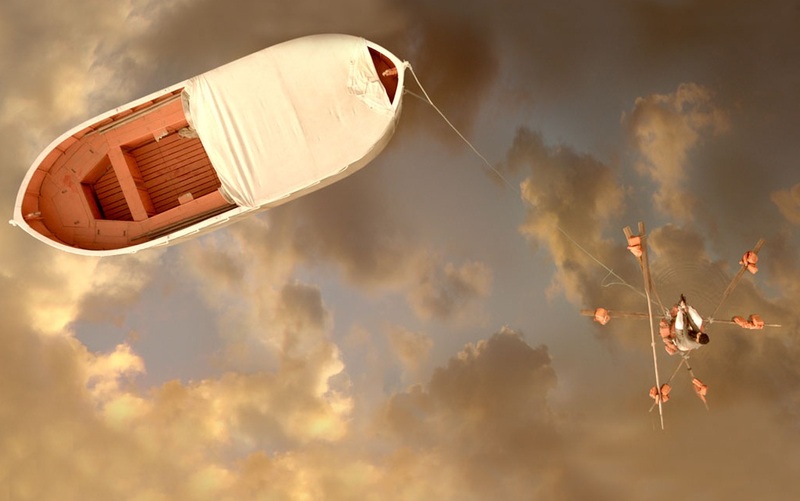 One, of course, is the visually beautiful Life of Pi, the movie based on Yann Martel’s brilliant book. The other is easily the best movie I’ve seen in a long, long time, and that is Lincoln. When I watched Lincoln I was amazed at him, at this man who has been so monumental to American history, and to human history, but whom nobody ever really talks about any more. That’s wrong. There are some people who should never be forgotten; they should never be relegated to history books; they should never ever be the pet subject of a specialist. No. Their lives and their achievements should forever be celebrated. Lincoln was such a man. If there’s only one movie you see this year, please make it Lincoln. In other news, the Kelly family are moving to Paris over the summer, and yes, it’s a permanent move. I don’t know whom I’m going to miss more – Aro, or the kids. I feel like they’re going to be taking a piece of me with them. I don’t even want to think about it; whenever I do I just become a puddle. I can’t bear the thought of not seeing Aro whenever I want, and not having daily ‘phone calls with her, and not seeing the kids, and not hearing from her for ages. She isn’t the best online correspondent, you know. She really isn’t. She pops up on Facebook from time to time and then disappears for an eternity. I have to stop now. I’m puddling as I write this. Speaking of friends, my neighbour Latika and I have grown closer recently, which I’m really glad about. It’s nice to be able to pop over to her house for a cup of tea or have her visit me. I wandered over yesterday, cupcakes in hand. I’m loving our closer friendship. Long may it last. On the subject of wandering, I discovered Phoenix Market City in Chennai about a month ago, and instantly fell in love with it. I found this awesome new café called ‘The Coffee Bean and Tea Leaf’. It is amazing; their teas and coffees are brilliant, but it is their cakes and biscuits that are to die for. If you have a chance to visit them, you should. Their muffins are as big as my head! (The tea bags are as big as pillow cases! I’m serious!) Everything tastes wonderful, and you can really tell that they only use the best ingredients. I think it’s going to be my favourite café for a long time. Move over, Coffee Day (which, let’s face it, has been the only café option in Chennai for far too long). When I was in Phoenix I had the unfortunate privilege of being introduced to the downside of what I’ve come to think of as ‘hipster clothing’. There were three young women there in very short shorts, stockings, baggy t-shirts, and carefully co-ordinated sunglasses and shoes. I know, I know. It’s a perfectly normal outfit. But that was until my eyes travelled down to their stockings. Once there I’m afraid that my eyes stayed there. When did it become okay for people to walk around with ripped stockings? Ripped, artistically torn, or whatever it is. Call it what you like, but that’s just lazy. I remember when I would have to get rid of my stockings because they developed ladders! (I’ve never been very good at darning, and with stockings as cheap as they are now, I don’t see the point. My grandmother would call it wasteful. Mind you, she’d be right.) I mean, I wouldn’t tolerate ladders in my stockings, but RIPPED stockings? Now that’s just – horrifying. I’m sorry, ladies, but fashionable it is not. Perhaps I’m just getting old. I’m clearly too old to be a hipster. I’m in my mid-thirties and I’m already creaking. my guess would be not very. head-to-toe black leather in australia while we’re having record highs? madness. You know I auditioned for the movie. I went till Round 2. Didn’t make the cut after that. I have to give credit to Suraj. He was brilliant. Another “what could have been” moment in my life. Glad to have you back. Hang in there with your health. I can only imagine the frustration in mystery. But on the up side you are writing and even if you are not “writing” on your blog, you are writing, and that is a beautiful thing. Take care.